$495. Vintage antique large 8 arm gilded metal leaves wall sconce, c. 1940. Spectacular piece, sure to command attention in your dining room or living room. 8 curved arms with a leaf shielding the light bulb. 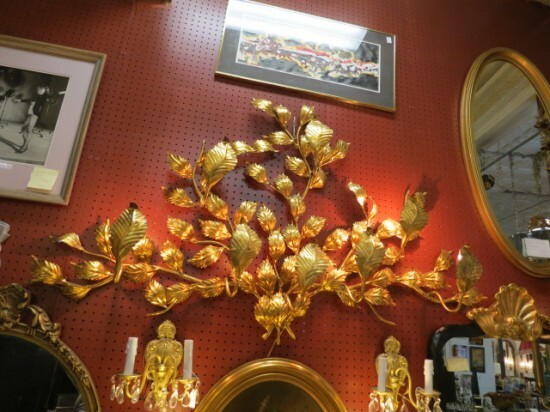 Looks like a large gold metal tree with branches and leaves. Probably Italian. Very good condition. 57in wide, 38in tall, 9in deep.